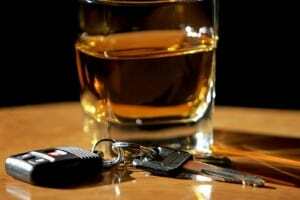 The Institute of Advanced Motorists (IAM) has responded to the publication of new government data that shows the number of fatal accidents involving drink-drivers has remained largely unaltered over the last five years. Despite ongoing campaigns to tackle this issue, the Department for Transport has published statistics showing that between 210 and 270 people lost their lives in alcohol-related incidents on the nation's roads each year between 2010 and 2015. Overall, an average of 240 deaths per year have been attributed to this type of dangerous and antisocial behaviour. Responding to the report, IAM director of policy and research Neil Greig said: "The latest drink-drive statistics show that Britain is flat lining on drink-drive deaths. "The government has increased the powers of the police to make it more difficult to avoid detection, but they continue to avoid the one simple measure that could deliver fewer deaths immediately." Indeed, Mr Greig argued that the rest of the UK should now follow the lead of Scotland and reduce the legal alcohol limit for all road users. At present, there are more than 20 alcohol-related deaths on roads across England and Wales each month and it is a situation that simply cannot be allowed to continue any longer. The IAM has therefore concluded that forthright action is now needed to "break the deadlock on drink-drive deaths" and a stricter limit should be viewed as a means to achieving this.